Drummer Colin Bailey has had an interesting career. He has played with many of the worlds greatest musicians in all areas of the business. He’s done over 100 jazz albums, T.V. shows, and toured world wide with the likes of Benny Goodman and Joe Pass. 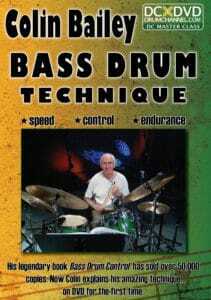 He has written three drum books; Bass Drum Control, Drum Solos - the Art of Phrasing, and his latest one, Bass Drum Control Solos. Colin is still playing Jazz gigs and doing Master Classes in the US, Brazil and Canada. 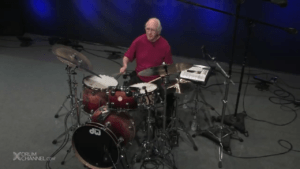 Drummer Colin Bailey has had a distinguished career. He has played with many of the worlds greatest musicians in all areas of the business.